Industrial turntable without a ring or guide above the table surface ( ). Industrial turntable with a solid guide ring around & above the table surface ( ). 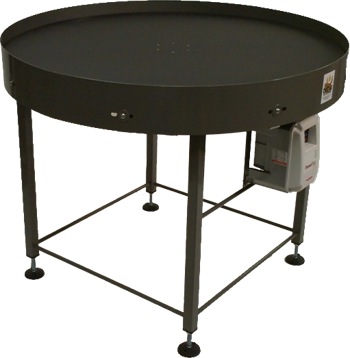 Industrial turntable with bottle conveyor guide ring or rings around & above the table surface ( ).